"Dr. Modugu was great. His staff is very nice. He's very caring of his patients." "Dr. Pathare is a wonderful doctor, very honest and helpful. I give him a 5 star." "Dr. Modugu is a knowledgeable pain management dr who genuinely cares for his patients." "If it wasn't for Dr. Modugu. I wouldn't have a quality of life." "Dr. Modugu is a great doctor. He takes the time to evaluate and listen to his patients." "Dr. Pathare is caring and compassionate. I highly recommend him at Advanced Spine." "Dr. Pathare is a highly skilled, knowledgeable doctor and has excellent bedside manners." "Dr. Pathare is kind, caring, and he knows his stuff. He's always willing to listen..."
Our mission is to relieve your pain, improve your quality of life, and avoid surgery. The pain management physicians at Advanced Spine Care and Pain Management, with offices in Staten Island and Hartsdale, New York, have more than 40 years of combined experience in helping patients live their lives without chronic pain and discomfort. 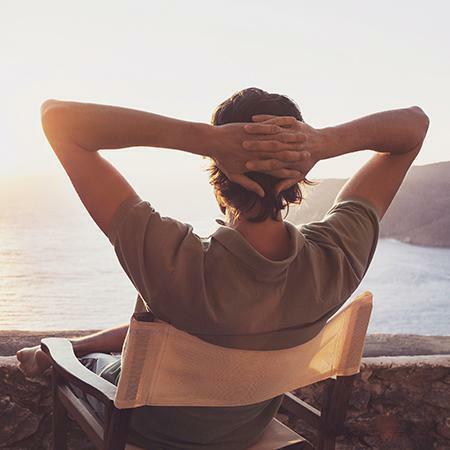 Shailesh (Shay) Pathare, MD, and Sathish Modugu, MD, are knowledgeable about pain management and passionate about offering their patients a unique experience. They accomplish this through listening and genuinely caring about each patient’s individual needs. Dr. Pathare and Dr. Modugu have performed thousands of needle guided pain procedures and helped thousands of patients find pain relief and avoid surgery. The doctors share a common belief that treating patients with pain should begin with listening to the patient, carefully examining the patient and test results, and then arriving at the correct diagnosis. This will allow the doctors to formulate a treatment plan that ensures the best outcome and avoids surgery. 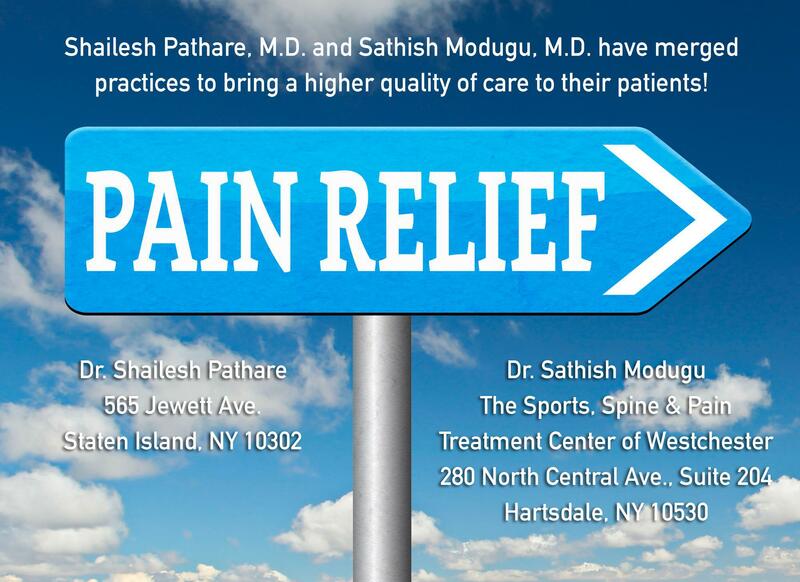 This philosophy and their extensive experience distinguish Dr. Pathare and Dr.Modugu in the field of Pain Management. Their compassionate approach starts with an understanding of each patient’s struggles with living a life limited because of pain. Dr. Pathare and Dr. Modugu believe that by working as allies with their patients, they can achieve long-lasting relief. During an initial visit at Advanced Spine Care and Pain Management, a patient’s personalized treatment begins with an in-depth discussion about medical history, activity level, nutrition, sleep, and overall quality of life. This information assists the doctors in ensuring they’re creating a personalized treatment plan that fully addresses each patient’s condition and needs. Advanced Spine Care and Pain Management offers diagnostic testing and cutting-edge treatment options. Call today or schedule an appointment online to learn more. "I've been a patient of Dr. Pathare since 2004. I would not trust anyone else. If it wasn’t for him, I wouldn’t be walking today. I am truly blessed to have him as my..."
"I highly recommend Dr. Pathare if you are looking for someone who puts your best interest first and really wants to help you get better!" "I have been a patient of Dr. Pathare for over 12 Years, and I continue to receive excellent care and compassion each and every visit. I am extremely grateful..."
"I owe my life to Dr. Pathare. If it wasn't for him, I would still be in a nightmare of pain that I couldn't wake up from. Thank you, Dr. Pathare." "I have been seeing Dr. Sathish Modugu for a little over 2 years and I have nothing but pleased with the staff and the doctor. I would recommend anyone to him." "Dr. Modugu is an amazing human being and a wonderful doctor. I would recommend him to anyone who needs a doctor with integrity, who is knowledgeable in his field..."
"I have been seeing Dr. Modugu for over 5 years now. He is an amazing doctor who cares about his patients and always goes above and beyond when treating you." "I found Dr. Modugu in 2010. I was barely walking and out of work on disability. After being treated by him, I was able to return to work." At Advanced Spine Care and Pain Management of New York, we care about every patient. Here are some of the insurances that we take. Please call our office if you have any questions about your payment plan, or the insurances we accept! Chronic pain interferes with daily tasks, your work, and your mood. Finding solutions to pain can improve your quality of life so you can enjoy the things you love to do. Pain medications are often a valuable part of a treatment plan. Spinal stenosis can cause pain and dysfunction that interferes with your ability to do the things you love. Learn about treatments that can alleviate your pain and help you get back to your daily routine. If you’re suffering through the pain of a herniated disc, you may have wondered what led to the condition in the first place. Discover how weight, smoking, wear and tear, injury, and your occupation might have increased your risk of a herniated disc. Our Staten Island office has a free parking lot in front of our practice for your convenience. 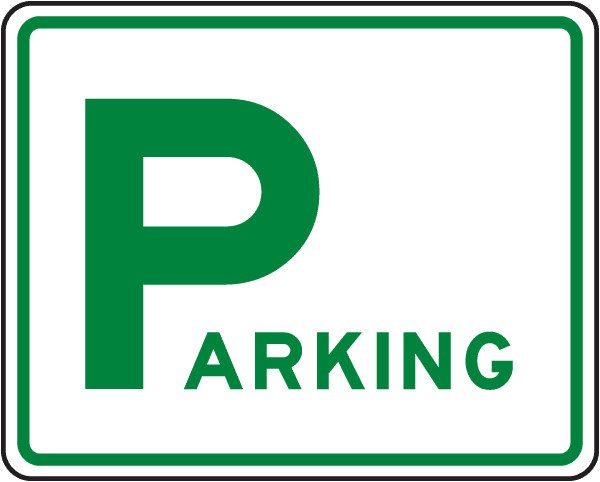 Our Hartsdale office also has free parking and is easily accessible from major highways.